A practical guidebook for developing active relationships with angels for daily guidance. "When we engage in a daily relationship with angels, our lives become filled with a vast array of heavenly sparks that inform us of the divinity within even the most mundane activities … Come and see for yourself how to invoke angels, and discover a new way to experience your world." Have you ever experienced something so extraordinary as to leave you wondering whether some higher power or force were responsible? "We do not need to sit and wait for the finger of Grace to tap us on the shoulder," explains Rabbi David A. Cooper. "Rather, we can practice the invocation of angels—cultivating profound experiences that immediately open us to guidance and blessings from the Divine." Invoking Angels presents a complete program of daily meditations and prayers to help practitioners of any faith find self-empowerment through an active relationship with angels, which Cooper views as an energetic realm that serves as a medium in which God, humankind, and all of creation are interconnected. Join this master kabbalist, scholar, and storyteller as he takes us back to the teachings of the Torah, the Bible, and other sacred texts to reveal the original vision of angels and the universe we cocreate with them. Invoking Angels is meant to complement an existing spiritual practice, comfort the sick, invite wisdom, and help anyone seeking an intimate awareness of these divine forces at work around us. 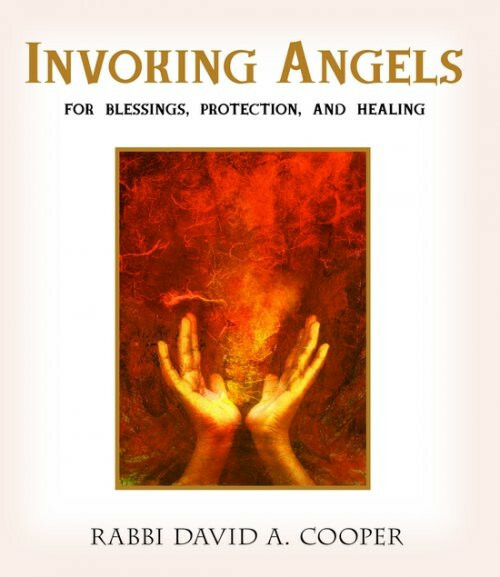 i feel that rabbi david cooper invigorating angels is such an excellent cd.